After printing, your product is not ready yet. On the contrary. 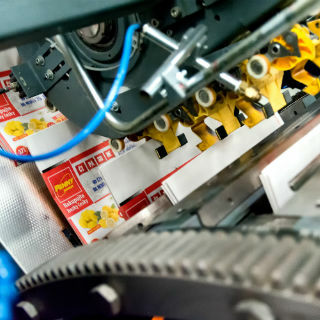 There are many other technologies and colleagues in the MAFRAPRINT printing plants that are able to do something more with your printed product. 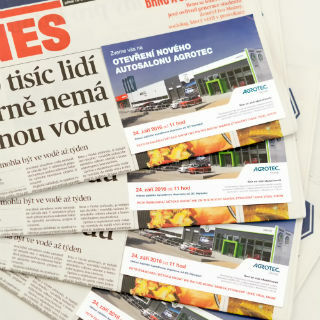 We are able to glue an advertising card (A6 or A7 size) into nearly any place on the front page of your product. This solution is an interesting possibility for our customers to make their advertising of events or products more attractive. 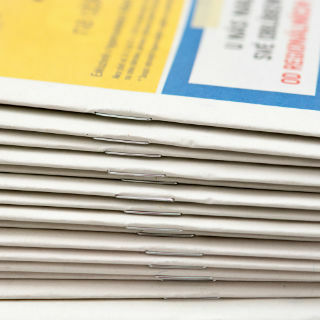 We can offer a wire stitching V1 binding service (wire staples) immediately after printing. It makes your product more compact. 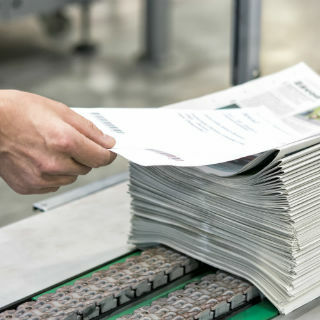 If you do not like the "newspaper" edges or if you want to have another format than the basic one, we can offer you trimming the product from three sides. This option opens a new space for offering a specific product and being different from your competition on the market. 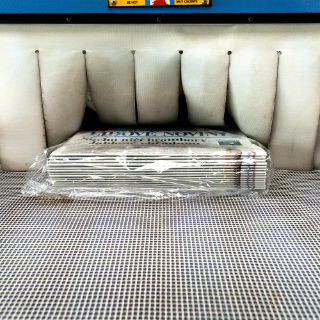 For a better protection and a comfortable manipulation, we can deliver the stacks of your products in shrink-wrapped foils. 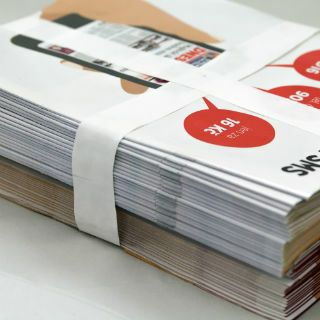 For an easier manipulation or counting of the products, our technology can strap the stacks of products (of almost any size), using a paper strap or a plastic strap. There can be single or cross-strapping of the products. Regarding further distribution, we are able to make pallet and address labels for the individual bundles of your products. 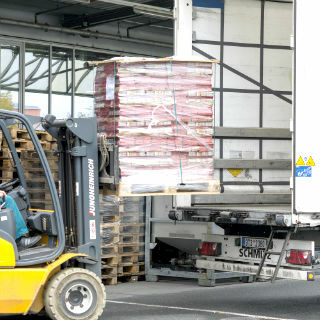 If a customer cannot or does not want to pick up their products directly from our printing plant, it is our pleasure to ensure a safe transport of all the products not only in the Czech Republic, but also around Europe.